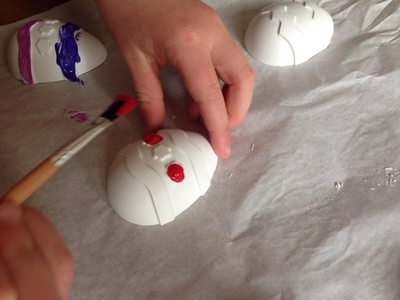 We made some decorative plaster Easter eggs last year using plastic craft eggs as moulds. 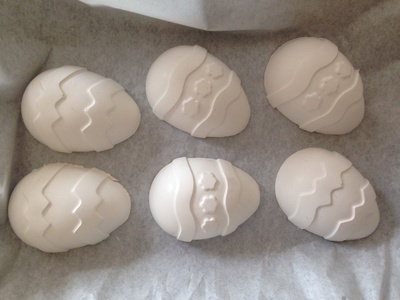 This year we tried out a different approach using an Easter egg chocolate mould. 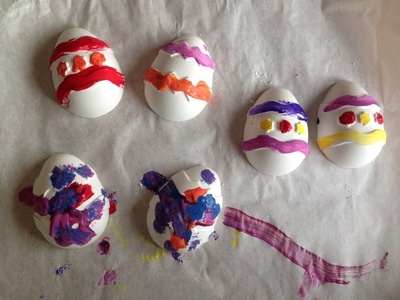 The eggs were very easy to make and the moulded pattern worked well for younger children to give some basic pattern to the eggs before the decoration started. 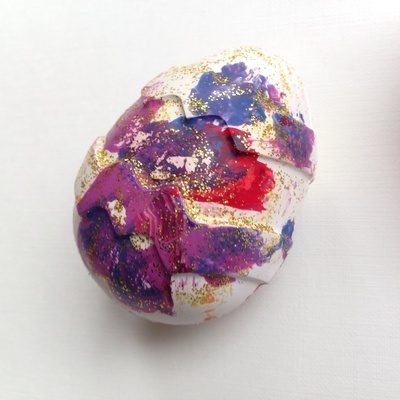 They were also easy for young children to paint as they could decorate the egg halves flat before gluing together. 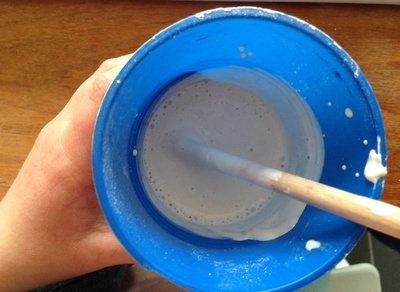 Mix the plaster in a disposable tub according to the instructions on the pack. We used two parts plaster to one part water. 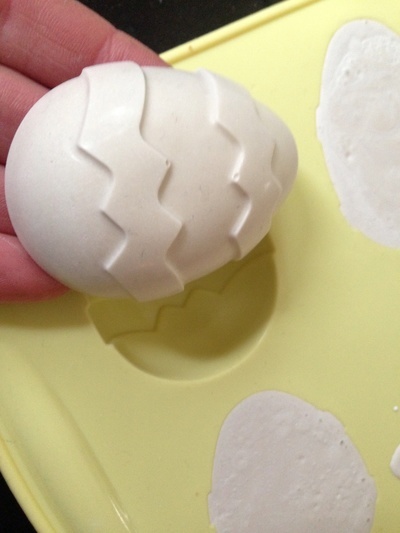 Pour into the Easter egg mould and tap gently to release any air bubbles. Leave for at least 4 hours to set and then pop out of the mould. Allow to dry for at least another 24 hours. We made ours the day before Easter and they weren't properly dried out in time before we wanted to start decorating so we baked the undecorated eggs in a low setting in the over (about 120 degrees C) for a couple of hours and this worked very well to speed up the process. 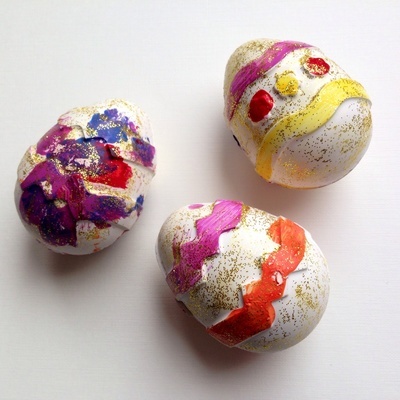 Lay the egg halves out on some old paper and decorate with paints. When dry, cover with glitter glue to give some sparkle. 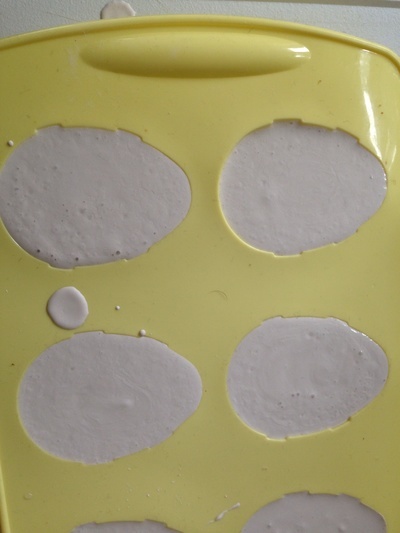 Match up egg halves and glue together using craft PVA glue. 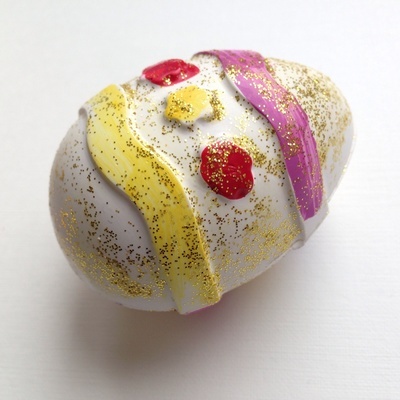 Have you made some decorated plaster eggs? Please share a photo of your creation via the comments section.